Aqua Grand RO+ UV+UF The most common type of purifier's are Reverse Osmosis (RO) and UV water purifiers. It is assumed that RO water purifiers are better than the UV purifiers. RO gives high level of purification while the UV purifier are combined with various forms of filtration as UV light can kill bacteria and viruses. Industrial Reverse Osmosis Plant Industrial reverse osmosis system plant is best suited for small and large scale industries. This type of reverse osmosis plant can be configured easily as per the individual requirements of output water. It produces high-quality demineralised water for various industrial applications. A systematic programme is integrated in the plant for studying the chemistry of water. Depending upon the contamination level of water, the RO plant itself selects the most suitable membrane configuration to provide a plant which gives a low water-rejection rate. Domestic Drinking Water Purifier In Manamadurai If You Are Required For RO Water Purifiers In Home? AQUA MAJESTIC TECHNOLOGIES Domestic / Commercial RO Plant- Our Company Has Been Selling RO Water Purifiers And Providing Customer Service Across All Over Tamil Nadu For 10 Years. Madurai Is Headquartered And Our Company Is Making Customer Service With Talented And Well Experienced Technicians In Manamadurai. Our Technicians Will Have Handled Of Your RO System And Plant. We Provide First Quality Filters And Spare Parts To Enhance Life Of Your RO System. We Are Give The Complete Solution For All Water Related Problems. Our Company Has A Lot Of Sales And Service In Manamadurai. 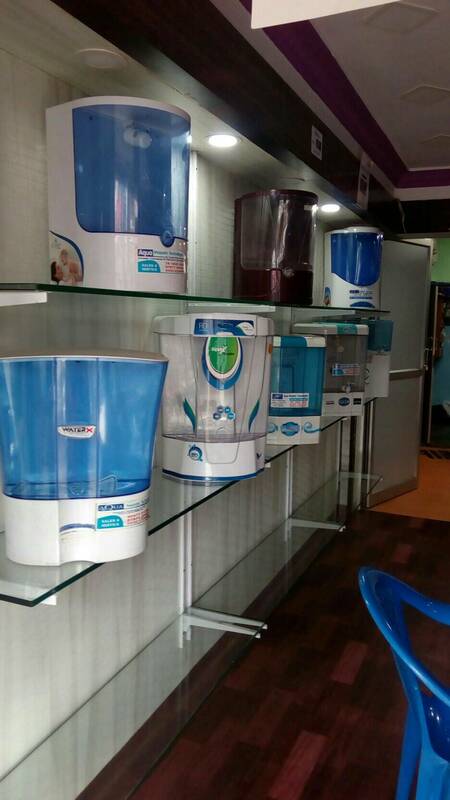 Models : Domestic RO Water Purifier–Dolphin Model In Manamadurai, Domestic RO Water Purifier–A-Star Model In Manamadurai, Domestic RO Water Purifier– Star Plus In Manamadurai, Domestic RO Water Purifier– Aqua Pluto RO + UV In Manamadurai, Domestic RO Water Purifier–Aqua Touch RO+UV In Manamadurai, Domestic RO Water Purifier–Aqua Leo In Manamadurai, Domestic RO Water Purifier–Aqua Thunder RO + UV In Manamadurai, Domestic RO Water Purifier–WALL MOUNTED In Manamadurai, Domestic RO Water Purifier–DIANMOND In Manamadurai, Domestic RO Water Purifier–Water X In Manamadurai, Domestic RO Water Purifier–Aqua Grand RO + UV In Manamadurai, Filtration : Protects Essential Nutrients And Minerals In Your Drinking Water. Without Releasing The Nutrients In The Water, You Can Always Provide Healthy Water. Make Sure You Have The Quality Of Drinking Water. The Best Way To Prevent Water Treatment Is To Prevent Diseases Such As Jaundice, Cholera And Typhoid. Our Product Eliminates New Types Of Pollutants Such As Pesticides, Heavy Metals, Other Chemicals And Mineral Contaminants. These Water Purifiers Destroy All Bacteria, Virus And Fungi That Can Cause All Diseases. Besides, It Protects Essential Minerals And Nutrients. This Gives You Not Only The Clean And Healthy Water. Drinking Water Is A Source Of Essential Minerals And Nutrients For The Body. Water Retains The Necessary Natural Minerals During The Purification. RO (Reverse Osmosis): RO Is A Water Purification Technology That Uses Semi-Permeable Membrane For This Water Purification Process. In This RO Removes The Dissolved Inorganic Solids (Such As Salts), Bacteria, Viruses And Germs.RO Water Purifier Converts Hard Water To Soft Water. UV(Ultra Violet): UV Is A Water Purifier Which Uses UV Radiations To Kill And Removes Bacteria, Viruses, Contaminants And Microorganisms From Water. UV Water Purifier Is Advisable To Use With Soft Water Which Has Contaminants. UF (Ultra Filtration): UF Is Water Purifier Which Uses Hollow Fibre Threaded Membrane. In This UF Removes Dispersed Materials, Suspended Solids, And Other Large Molecular Weight Materials From Water Which Is Harmful To Human Health. TDS (Total Dissolved Salts): TDS Which Is Referred As Minerals, Salts Or Dissolved Metals Such As Calcium, Chloride, Nitrate, Iron , Sulphur And Some Organic Matter That Dissolved In Water. Presence Of TDS In Water Will Affect The Water Taste. Most Commonly Used Purification Systems To Reduce TDS Are Carbon Filter And Reverse Osmosis (RO). Our Company Not Only Sell The RO Water Purifiers, Also Include With RO And Without UV, UF And TDS In Water Purifiers. Application Of RO •	Domestic RO Systems For Home •	Domestic RO Purification For Hospitals, Clinic , Schools & Colleges •	Domestic RO Purifier For Hotels & Hostels •	Domestic RO Purifier For Canteen & Catering Service Provides •	Domestic RO Purification For Shops , Stores , Agriculture •	Domestic RO Purification For Offices Free Demo And Water Testing In Manamadurai? Please Send Your Enquiries And Any Queries At Aquaamt@Gmail.Com You Are Need To Know More Details About Me, Please Visit Our Website: www.aquamajestic.in & www.rowaterplantsolution.com Are You Looking For Ro Water Purifiers Repair And Service In Manamadurai? Please Contact Us: 9787120409 & 7810810808 Finance Facility: We Offer A Simple And Easy Installment Facility. We Have Bajaj And TVS Finance Facility.